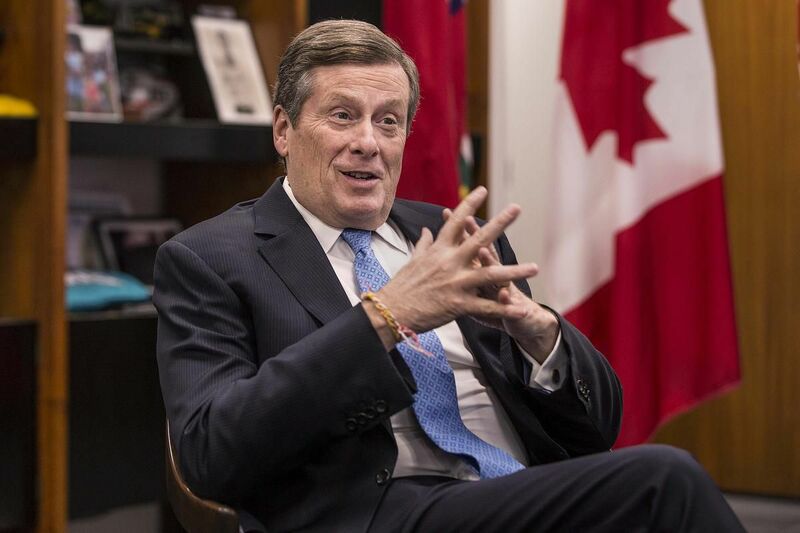 The Trump administration’s stance on immigration is providing an opening for Canada to lure high-tech talent and investment away from Silicon Valley, Toronto’s mayor said. In addition to trying to capture global tech investment and brain power that would normally be headed for the U.S., Canada is also looking to entice expatriates back home from Silicon Valley, helped by social policies that includes up to 18 months parental leave, Tory said. While the U.S. has clamped down on high-tech visas and banned immigration from several mostly Muslim countries, Canada posted its biggest surge in immigration in more than a century last year. It has sped up the processing of visas for high-tech workers and has seen a jump in students coming into the country from abroad. Tory’s comments were echoed by Paddy Cosgrave, the Irish co-founder of Collision, a technology summit that will be held in Toronto for the next three years. Collision is expected to bring more than 20,000 investors and executives to the city. The conference has been previously held in New Orleans and a sister conference, Web Summit, in Lisbon. “Toronto has pursued some fantastic policies and I think there has been some change in sentiment in the United States that has created an enormous opportunity for Toronto to capitalize on,” Cosgrave said in an interview with BNN Bloomberg. Canada is not without its own political tensions. However, neither Cosgrave nor Tory said they have seen any backlash from a diplomatic standoff between China and Canada after the arrest of Huawei Technologies Co.’s chief financial officer on the behalf of the U.S. A number of large Chinese investment companies are planning to attend the conference, Cosgrave said. Tory acknowledged that U.S. immigration and visa policies could be reversed with a change in government, eroding the advantage they are giving Canada, but said by then, he believes much of the talent that has opted to settle in the country will stay. “We were given an opening, by a variety of circumstances, and we took advantage of it,” Tory said. The Collision conference will be held from May 20 to 23. Attendees include John Chambers, chairman emeritus of Cisco Systems Inc., Alex Stamos, former chief security officer at Facebook Inc. and Tobi Lutke, chief executive officer of Shopify Inc.